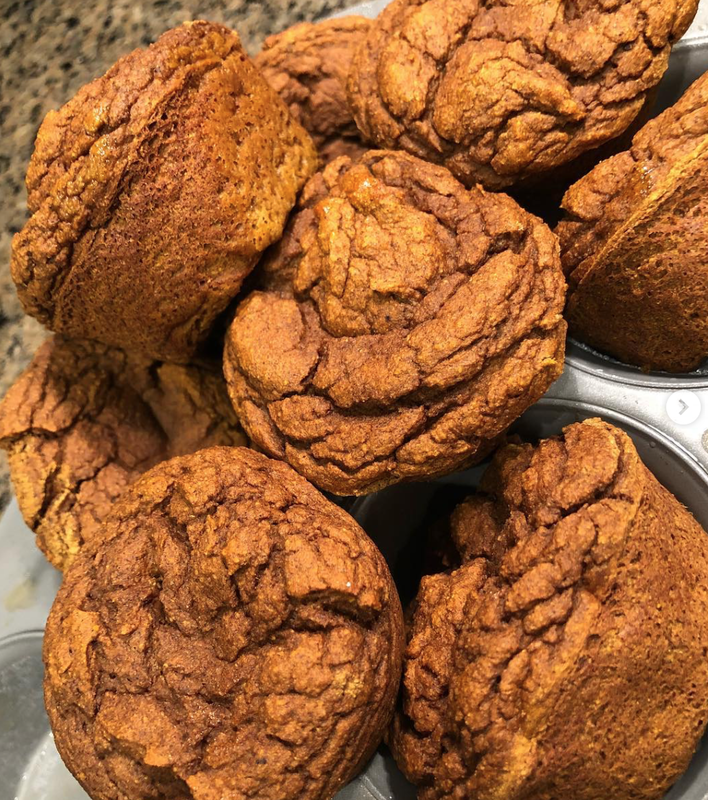 #MomApproved ðŸ‘ŒðŸ�» Banana pumpkin spice muffins ðŸ�Œ AAAND only 100 calories per muffin! I used Kerrygold butter. This can be replaced with another butter or oil of choice. I only used half of a banana because thatâ€™s all I had. ðŸ¤·ðŸ�»â€�â™€ï¸�ðŸ˜‚ You could swap out some of the pumpkin for more banana if you want a stronger ðŸ�Œ taste. This is one of my FAVORITE recipes Iâ€™ve ever whipped together!